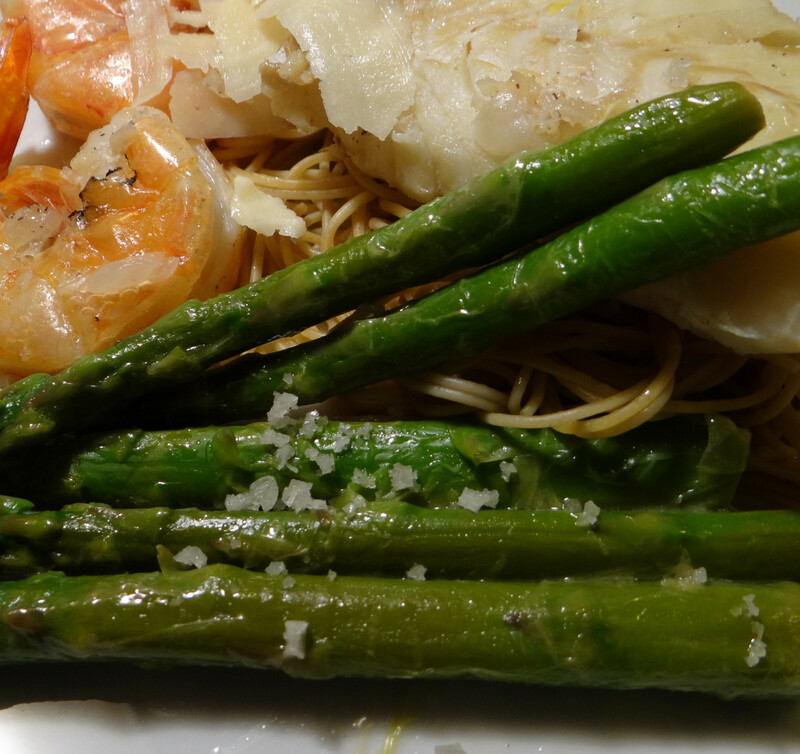 Don't Eat the Paste: My new favorite way to eat asparagus! This was going to be a post about fish. It was supposed to be about fish when I plated dinner last night and grabbed my camera. But then I started eating. The fish, Alaskan cod, was very good. The asparagus? OH MY STARS! The only way I'd like it better is if we had done it outside over a birch wood fire. It was just that good. It's not that I did much different, so it has to be the salt. I love good salts. If you think salt is salt, then you might be missing out. A lot of the gourmet salts have minerals in them. Just like water from a mineral spring tastes a lot better than flat, completely pure water, salt that has minerals in it tastes better than regular salt, or even then standard sea salt. Some of them are smoked for even more flavors. 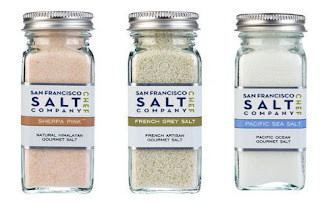 San Francisco Salt Company sent me some of their gourmet salts to review. I'm a nut for gourmet salts, and my husband enjoys them too. This 3 pack is available on Amazon, or you can order salt directly from their site. These are the 4 ounce shaker style bottles. The bottles are attractive, glass with what looks like brushed aluminum tops which cover the plastic shaker top, which means they are great bottles for reusing if you buy bulk salt to refill them. The salts themselves are a good range for a beginner into the world of gourmet salts. Himalayan Pink is the one with the strongest flavor, it's a bit lower in sodium than most salts, and has a great mineral taste. It's my personal favorite for chicken and salmon. It's also wonderful on vegetables. French Grey Sea Salt is my husband's favorite. The flavor is more delicate, and should be paired with mild flavors to really enjoy the depth it offers. It has a moist appearance because it is a bit moister than other salts. It's not wet, and it doesn't cake. It does pour freely from the shaker top. Pacific sea salt is the closest to normal table salt, it still has some flavor, but it's very subtle. These shakers are fine ground and work for all the applications regular table salt works well for. Except it really makes things taste better. They also have coarse salt, and included a sample of the French Grey Salt in the coarse texture. Coarse salt is the kind you want to use as both a flavor enhancer and as a gorgeous finishing accent. It's great for chocolates and all that kind of stuff too. Just a few pieces on top of a truffle to bring out the flavors? Divine. Oh.. sorry. This was about asparagus. I really, really like salt. After that, various recipes change. Some call for seasoning salt, some for garlic or a whole onion or all three of the above. Some call for lemon juice. End result is that if you have a mild fish like Alaskan cod or halibut, you stop tasting the fish and taste mostly the seasoning and butter. It does taste good, but it seems a waste to mask the flavor of good, fresh fish. So what I did was simplify it a bit. Heat the butter and olive oil in a large skillet over medium heat until the butter is melted, add the onions and cook until just soft. Move the onions to one side. Put in the cod fillets and season with salt, pepper and the lemon zest, cook until brown on one side, flip over and cover with onions. Cook until done. Which is when the fish is opaque and flaky. When you serve it, you'll slide a spatula under the fish and flip it on to the plate so it's served on top of the onions, then use 1/2 of the lemon to add lemon juice over the top of the fillets. So, that's that, and that was good. Then I did the asparagus. Starting with frozen asparagus - Why frozen? Frozen asparagus is really fresh, and unless you have it in your garden, the stuff from the grocery store has been aging and dropping in flavor and tenderness since it was picked. Frozen asparagus is blanched and then frozen fast at the peak of it's season. It doesn't have "woody" bits, and it's got great flavor. Melt the butter, and add the asparagus. Cook until it's heated through, then squeeze the lemon juice on top of it. Plate, and top with a sprinkle of the salt. It's really that simple, and tasted so good that my DAUGHTER ate some, and she generally hates cooked vegetables and really detests asparagus. The rest of my family enjoyed it very much. This is my favorite way to eat asparagus now. At least until my husband can do roughly the same thing on the grill adding in that wood smoke flavor for absolute perfection. 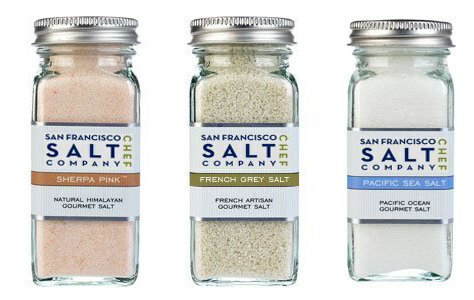 Check out the San Francisco Salt Company on Facebook, they are currently running a giveaway and the winner gets 100 dollars worth of salt.